Smkon SF8 RTA is a rebuildable tank atomizer with 2ml capacity and 24mm diameter. The SF8 tank features a unique dual post top wicking system, which brings unbeatable flavor just like a RDA. The adjustable bottom airflow with many venting holes allow you adjust air intake to suit your personal preference. SF8 RTA by Smkon is an innovative rebuildable tank atomizer with 2ml e-liquid capacity in 24mm diameter. The most important feature of the SF8 is its unique dual-post top wicking build deck, delivering amazing flavor and clouds comparable to a RDA. The SF8 tank adopts easy top filling system that you can fill e-juice by removing the top cap. Adjustable bottom airflow slots with venting holes allow you adjust air intake to suit your personal preference. 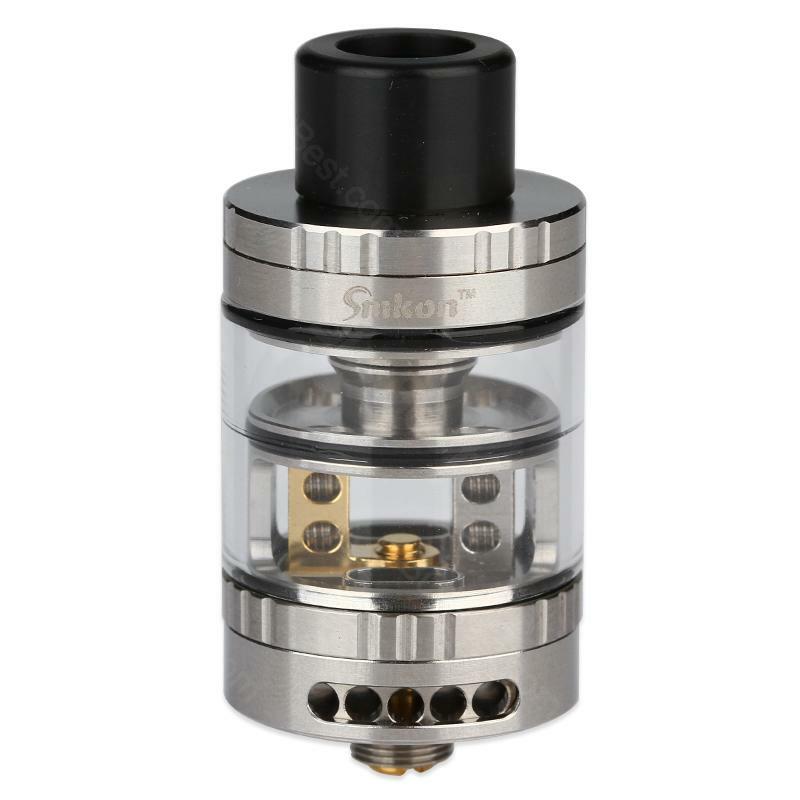 Constructed of stainless steel and pyrex glass tube, the SF8 RTA fits most mods on the market. • This is a rebuildable tank, for experts, not for average or beginner vapers. I like this Smkon SF8 RTA Tank, and I think 2ml is a little small, which can be bigger. Small and good RTA! Nice! It tastes nice and the cloud is very large. Really good RTA. The flavor is really good and you definitely to buy one. 24mm diameter. This Smkon SF8 RTA is good for me. I am happy with this RTA.